Dr. Izzo has advised some of the best companies in the world on activating purpose including DuPont, TELUS, Manulife, McDonald’s, Tim Horton’s, SAPA, RBC, Lockheed Martin, Qantas Airlines, Humana, Microsoft and the Mayo Clinic. 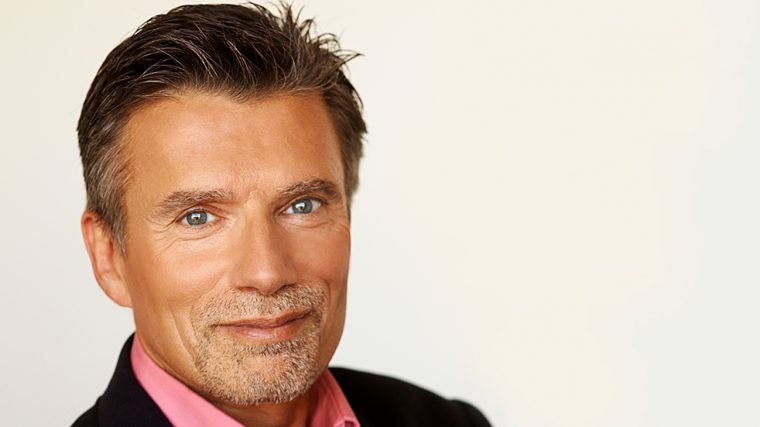 He is the bestselling author of seven books, including the international bestsellers Awakening Corporate Soul, Values Shift, The Five Secrets You Must Discover Before You Die, Stepping Up, and The Five Thieves of Happiness. His latest book, The Purpose Revolution, was published in 2018. Frequently profiled in the media, Dr. Izzo has been profiled by the likes of Fast Company, PBS, CBC, The Wall Street Journal, CNN, and Inc. magazine. Dr. Izzo is an adjunct professor at the University of British Columbia, where he is a co-founder of The Men’s Initiative, which is dedicated to creating a more equitable, compassionate, and sustainable world through enhancing the well-being and integrity of men. He also serves on the Advisory Board of Sustainable Brands. Companies today struggle to find a place of true differentiation that grows lasting competitive advantage. Differentiating by products, service, or price is becoming more difficult in an age of fierce global competition. What’s even more disturbing is that consumers say they wouldn’t care if 70% of brands they buy from disappeared! The good news is that there is a great source of brand advantage emerging that few companies are taking advantage of: the desire for Purpose. There is a revolution of expectations happening globally among customers and employees, and this shift represents perhaps the greatest opportunity to grow your brand. Dr. John Izzo calls this The Purpose Revolution. Research shows that brands that truly connect customer to their purpose have much higher levels of loyalty. Over 80% of consumers say that they want to buy from companies that are improving society and planet. Over 35% of these consumers are highly motivated by purpose and are demonstrating a willingness to pay a premium for brands that they believe in. This trend towards buying with purpose is global, it’s growing fast, and the smartest brands in the world are already reaping the benefits. In this powerful keynote or workshop based on his book The Purpose Revolution (How Leaders Create Engagement & Competitive Advantage in an Age of Social Good), Dr. John Izzo shows your audience what customers want, what converts that desire into loyalty, and how you (and your organization) can connect consumers to your authentic purpose. Dr. Izzo is a consummate storyteller and will wow your audience with examples of this emerging revolution among consumers and brands while showing powerful tools for you to connect customers to your story while embedding purpose in your company. Attracting, engaging, and keeping talent is a key driver of success for every enterprise. Although talent want all the things they have always desired, there is shift happening that is changing the war for talent. Across every demographic of age and country, there is an emerging purpose focused employee who want to be a part of organizations that are creating social good both for customers and society. Over 50% of employees globally want to work for companies that have a purpose and half of millennials say they would take a pay cut to be at a company whose purpose they believe in. Research also shows that when employees believe in the purpose of the company they are more productive, more engaged, and more willing to put in discretionary effort. This desire to be part of a purposeful company cuts across all demographic categories of age, gender, and country though it is most pronounced among millennials. This keynote will help leaders and companies see how trend is changing the talent game and how to thrive with a work force focused on doing good. Taking responsibility means stepping up and seeing yourself as the agent of change, whether it is changing your life, career, company, or the world. Research shows that people who take 100% personal responsibility are more productive, happier, more admired, more likely to get promoted and more successful. We also know that people who focus on what they can change rather than the excuses as to why they can’t succeed achieve superior results. Leading On Purpose: Winning People with "The Why"
The secret to stepping up your sales game and achieving greater success in both work and life can be found in a simple principle called 100/0. In fact, research on sales effectiveness shows that the most consistently successful sales professionals rarely focus on why they can’t sell but focus on how THEY must adapt to sell. By taking 100% responsibility and not letting any excuses keep you from achieving your goals, each one of us can focus on what we can do right now in the situation we are in. Attracting, engaging, and keeping talent is a key driver of success for every enterprise. Although top talent still want all the things they have always desired, there is shift happening that is changing the war for talent. Across every demographic of age and country, there is an emerging purpose focused employee who want to be a part of organizations that are creating social good both for customers and society. Over 50% of employees globally want to work for companies that have a purpose and half of millennials say they would take a pay cut to be at a company whose purpose they believe in. Research also shows that when employees believe in the purpose of the company, they are more productive, more engaged, and more willing to put in discretionary effort. This desire to be part of a purposeful company cuts across all demographic categories of age, gender, and country though it is most pronounced among millennials. Customers are also increasingly saying that they want to buy from and be associated with sustainable brands that are adding value to society. This workshop will help leaders and companies see how trends are changing the talent game and how to thrive with a work force focused on doing good. Dr. Izzo says that happiness and contentment are our natural states—and cites ancient spiritual traditions and modern neuroscience to back himself up. It was on a sabbatical he took to find out why he lacked a sense of joy in his life, despite being a successful consultant, speaker, and author that he realized what the cause of much of our unhappiness is. Reflecting as he walked the Camino de Santiago in Spain, and spent time in the deserts of Morocco and high in the Andes of Peru, he saw that there are specific mental activities and attitudes that take our happiness from us. He calls them the five thieves of happiness: the thief of control, the thief of conceit, the thief of coveting, the thief of consumption, and the thief of comfort. This is a thoughtful exploration of why we let each of these thieves in, how they steal our happiness from us, and what attitudes we can adopt and actions we can take to effectively lock them out. Dr. Izzo’s message about purpose and values driven organizations was a perfect note to get our meeting started. Dr. Izzo took the time to understand our organization and to visit with us ahead of the event to ensure he understood the needs of the group and our unique history and structure. One of the key themes from his speech “if the customer wants it, and you can possibly do it, you should consider it”, this became a reference point throughout the rest of our meetings and has subsequently come up in some of our work as we consider how to continue our customer focus. You did an excellent job, Thank you for your inspiring and thought provoking program we are already planning next year and our attendees want you back! Thank you for your insight and wisdom John, your program was so inspiring and motivating. Our work with you is far from over. You left the audience with a challenge to consider some of the realities that we face in education today and encouraged us to make a commitment to address at least one or two in a positive way. For the second time you have commanded the attention of our managers. You know your stuff Dr. Izzo, and it was a sincere pleasure to work with you again! Workforce issues in healthcare are diverse, and hearing John Izzo’s today was THE most timely information I could have received. He is ahead of the curve and hopefully healthcare will strive to catch up! Dr. Izzo was motivating, please have him back! He gave me things I can do to change my workplace. I personally consider your speech to be one of the best I’ve heard in years. We went from 38th out of 40 hotels in service to number 4! John Izzo was part of this service excellence change effort and we highly recommend him! You inspired us to appreciate each other and you gave us so much food for thought! Thank you! John, I wanted to let you know how much your presentation meant to our delegates. The word used to describe the overall conference was ‘aligned’ and that had a lot to do with how well you wrapped it up…The standing ovation was not a surprise but a resounding testament to ‘we got it John’ from each of our delegates. Dr. Izzo was the perfect fit – he challenged us and left a lasting impression that won’t soon fade. Without a doubt, I highly recommend Dr. John Izzo to any company wanting to make a difference in both the work and personal lives of their employees. A guaranteed return on our investment!